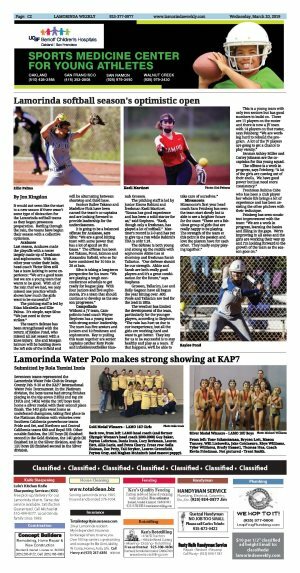 It would not seem like the start to a new season if there wasn't some type of distraction for the Lamorinda softball teams as they began preseason preparation. Battling through the rain, the teams have begun their season with a collective optimism. 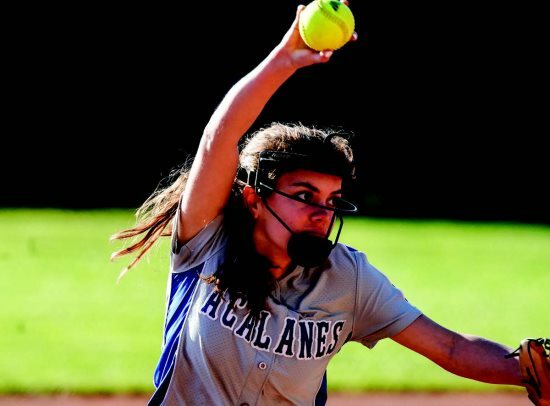 Last season, Acalanes made the playoffs with a roster largely made up of freshmen and sophomores. With another year under their belts, head coach Victor Silva still has a team lacking in some experience: "We are a good team but we are a young team that wants to be good. With all of the rain that we had, we only missed one practice which shows how much the girls want to be successful." The pitching staff is led by Edan Mirabella and Ellie Palma. It's simple, says Silva: "We just need to throw strikes." The team's defense has been strengthened with the return of Kaylee Pond, who missed all last season with a knee injury. She and Morgan Salmon will be holding down the left side of the infield and will be alternating between shortstop and third base. Seniors Bailee Takano and Madeline Fink have been named the team's co-captains and are looking forward to provide leadership for the underclassmen. 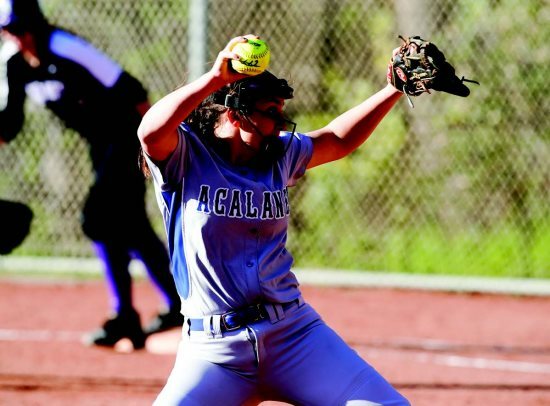 It is going to be a balanced offense for Acalanes, says Silva: "We are a good hitting team with some power that has a lot of speed on the bases." The offense has been led Takano, Pond, Salmon and Alexandra Sofield, who so far have combined for 10 hits in 20 at bats. Silva is taking a long-term perspective for his team: "We are playing a tough non-conference schedule to get ready for league play. With four juniors and five sophomores, it's a team that should continue to develop as the season progresses." 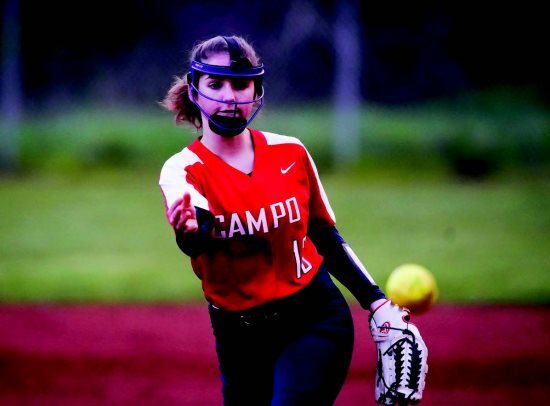 Without a JV team, Campolindo head coach Wayne Stephens has a young team with strong senior leadership. The team has five seniors and juniors and 10 freshmen and sophomores. Key to pulling this team together are senior captains catcher Katy Poole and infielder/outfielder Hannah Grossen. The pitching staff is led by junior Emma Rahimi and freshman Kaeli Martinet. "Emma has good experience and has been a solid starter for us," said Stephens. "Kaeli, though only a freshman, has played a lot of softball." Martinet's record is 2-0 and has yet to give up a run while Rahimi's ERA is only 1.91. The defense is both young and strong up the middle with sophomore Abbie Lee at shortstop and freshman Sarah Tallarico. "Our defense should be our strength. Abbie and Sarah are both really good players and it's a great combination for the future," says Stephens. Grossen, Tallarico, Lee and Kelly Gagnon have all begun the year hitting over .400. Poole and Tallarico are tied for the lead in RBIs. The weather has limited the development of the team, particularly for the younger players, according to Stephens: "The rain has hurt us due to our inexperience, but all the girls are working hard and want to get better. They key for us to be successful is to stay healthy and play as a team. If that happens, we'll be able to take care of ourselves." Miramonte's first year head coach Sara Feinberg has seen the team start slowly but is able to see a brighter future for the team: "These are a fabulous group of girls that are really happy to be playing. The strength of the team at this point is the passion and love the players have for each other. They really enjoy playing together." This is a young team with only two seniors but has good numbers to build on. There are 11 players on the roster and there is now a JV team with 14 players on that roster, says Feinberg: "We are working hard to rebuild the program. A lot of the JV players are going to get a chance to play varsity." Seniors Ashley Miller and Carley Johnson are the co-captains for this young squad. The offense is a work in progress, says Feinberg: "A lot of the girls are coming out of their shells. We have good power but just need more consistency." Freshman Rubina Cabe who has been a club player her whole life brings a lot of experience and has been assisting the other pitchers with their technique. Feinberg has seen consistent improvement with the team: "We are a work in progress, learning the basics and filling in the gaps. We're improving in all areas and the girls are working their way up and I'm looking forward to the growth of the team as the season goes on."